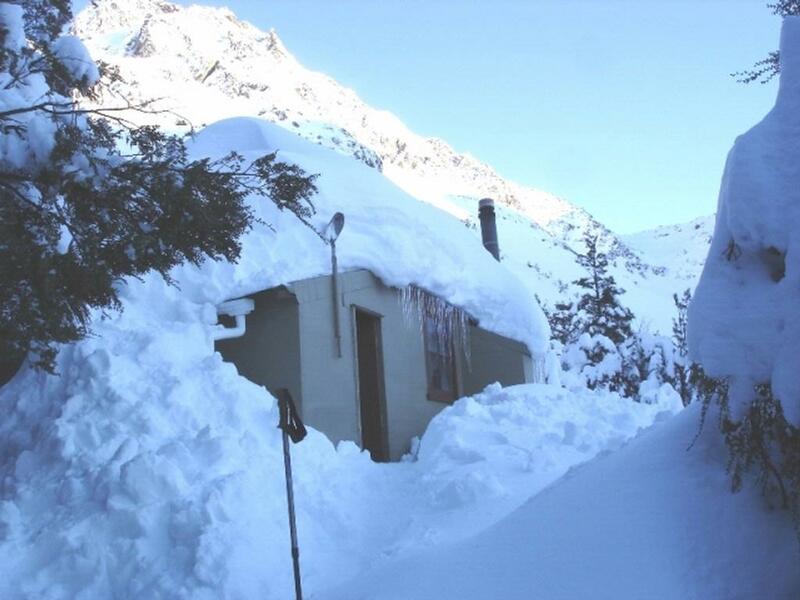 A snow covered Cupola Basin Hut visited on 6th and 7th July 2008.Stunning views of the surrounding mountains make the tough grunt up in thick snow (60 - 70cm) well worth it.The water was frozen and there was limlted access to wood for the burner,but........did I mention the view? Added 10 July 2008 by maccamacca. No revisions.